The Target Saver: VIP Kid: Earn up to $22 an Hour Working From Home Teaching English Online! VIP Kid: Earn up to $22 an Hour Working From Home Teaching English Online! If you are thinking about working from home, and love working with kids VIP Kids is hiring! All you need is a Bachelor’s degree in ANY field PLUS one year of traditional teaching, tutoring, mentoring, or alternative education. Your lesson plans will be provided, and you can set your own schedule to work as few or as many hours as you prefer. (It is recommended you are available a minimum of 7.5 hours per week). As a VIP Kids teacher, you will be teaching English to Chinese students between the ages of 4 and 12 online. You can earn up to $22 per hour, and there are incentives available. 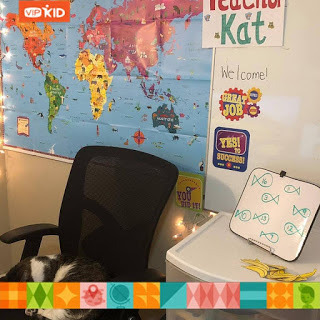 When you sign up with VIPKID, you will be expected to do an interview as soon as possible by booking a 30 minute session with a VIPKID recruiter or you can record a demo lesson for evaluation. Take a look here to learn more about it and get started.